Stars for Veterans – We hand out packets with stars cut from old flags and a “thank you for your service” message to veterans as we meet them. Docents give them out at the Chapel after tours and we always have some on hand to give out in the area. This has been a surprising and rewarding ministry . . . a simple thank you goes a long way! Veteran’s Care Packages – We send out care packages to deployed servicemen. Veterans’ Reception – An annual Veterans Reception is held in November to acknowledge and thank all Washington Memorial Chapel veterans. St. Peters’ Phoenixville Breakfast Ministry and Food Pantry – Our congregation continues to be very involved and sends approximately 8-10 volunteers one Saturday morning (every 6 weeks), making and serving breakfast and cheer to local residents who use the food pantry. We also donate food from our monthly food drive to the pantry, and make financial donations to help support the Pantry.piscopal Community Services (ECS) – We make a financial donation to ECS to help with their backpack program that ensures students in surrounding areas have school supplies throughout the school year. Outreach also supports ECS with a donation for their Spring Cleaning Drive, which benefits low-income families with cleaning supplies. St. James School – We continue our rewarding partnership with this inspiring school. Outreach makes financial contributions to help a student attend Summer Camp. Sixth Grade students visit the Chapel for a tour and a living history presentation of life during the American Revolution. 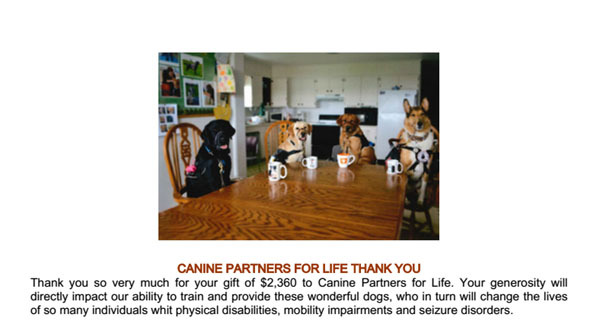 Canine Partners for Life – Washington Memorial Chapel raises money for a canine companion at our annual Oktoberfest dinner. Loose Plate Collection – One weekend each quarter, the Loose Plate Offering is designated to go to a different charitable organization, such as the USO, St. Peters’ Food Pantry, ECS for “Fill the Bus”, St. James School, The Clinic in Phoenixville, etc. Angel Tree – Washington Memorial Chapel helps Upper Merion Township Emergency Aid provide a Merry Christmas to families in need. In the past, our Sunday School classes have collected socks for students in need. 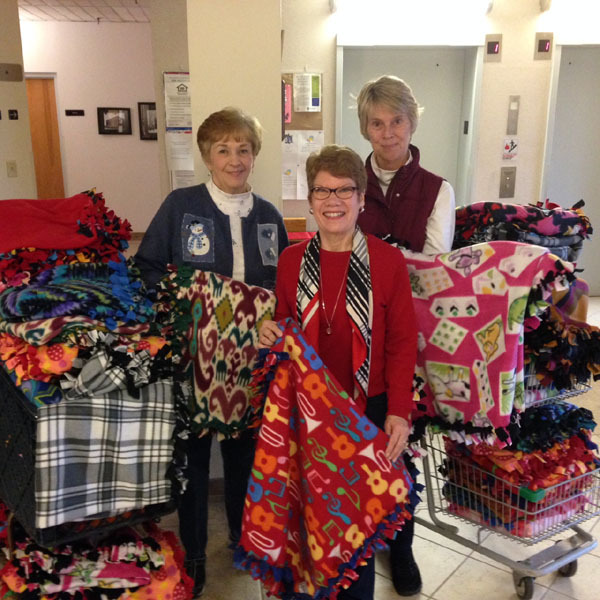 Fleece Blankets – For many years, we have made fleece lap blankets and provided them to veterans at the Coatesville Veterans Hospital, seniors, a transitional homeless shelter, and low-income disabled adults. They have always been well-received at Christmas and are helpful in keeping the recipients warm in the upcoming winter months. Operation Gratitude – Washington Memorial Chapel has been involved with this ministry which provides hand-made hats and scarves to servicemen. They are always well received and this has been a worthy project. We have made a monetary donation to help purchase Bibles for inmates at Gratersford Prison, and a donation to Upper Merion Emergency Aid to aid with their numerous programs. Outreach at Washington Memorial Chapel is very active and helps many varied residents in our local communities. We are always open to new opportunities in our mission to spread God’s love by helping those in need. THANK YOU to everyone for their support and help in completing the fleece blankets. 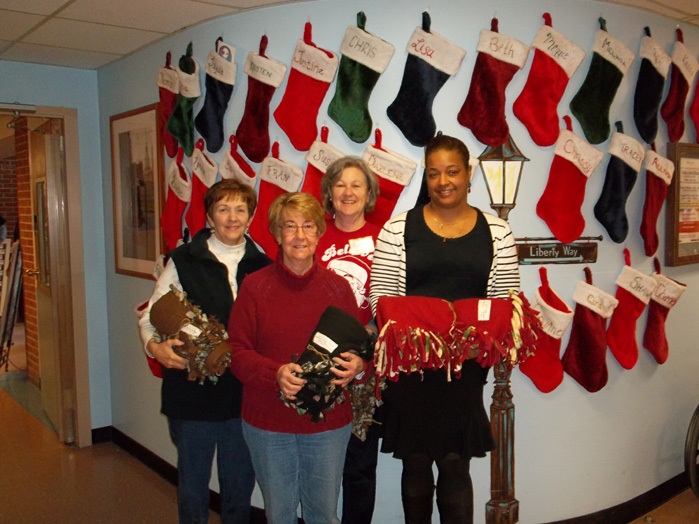 A total of fifty-one (51) blankets were delivered to St. Peter’s Place in Phoenixville on December 23rd. St. Peter’s Place consists of subsidized apartments for disabled adults and seniors located in Phoenixville. Every individual receiving a blanket was very appreciative of the thoughtfulness of Washington Memorial Chapel in thinking of them. With the upcoming cold weather, they will help keep them warm. As always, Outreach would like to thank you for your continued support of this worthwhile project and helping to make a difference in the lives of many people in our local community! For more information on events and activities at Washington Memorial Chapel, contact the Chapel office by phone at 610-783-0120, or by email. Click here to view our parish profile.